In Reason 5 the sampler was introduced. Before that, we had to rely on using external sampler tools to record the audio. Other tools where aiding tools to make the workflow a lot easier back in the day. While audio editing has evolved nicely in Reason (while Reason 8 is the latest version while writing this down), I thought it would be nice to do a few articles solo focussing on what "we" reason users have to manipulate audio tracks. Audio Files have become a bit more important in the Realm of Reason 6. While I have done quite some interesting techniques to spice up your audio tracks in the past, I thought it would be nice to throw in the awesome "how to deal with audio" tutorial and take my time while writing down all the knowledge I have about audio files and how to manipulate them. I might add, that there is a lot to cover when it comes to throwing audio inside Reason. There could be a division of Pre Reason 6 (eg reason 5, reason 4 and so on) and Aft Reason 6. Since Reason 6 audio tracks have been included inside the program itself. Yet I still feel that some features could be improved regarding Audio Files. But I don't want to turn this in to nitpicking topic. Lets look at what can create with audio files with in Reason alone. In this topic I will meanly address the issues regarding the era of Reason 5 and before this. In a later instalment I will address certain takes using Reason 6 and later. Before getting started there are certain tools you might find handy depending on the set up you are using. If you are using Reason 7 or Reason 8, most of these tools I will be discussing will most likely not be handy (yet, till this day I still use them from time to time). Recycle is an external tool which allows you to slice up audio files and convert these audio files in a Rex Format. Later on the Rex files are short sliced up loops which can then be loaded up inside the Redrum, Kong Drum Designer or the Dr Octo Rex. Since Reason 7 this feature has been integrated, there for I barely touch recycle much. Only when it comes to older version (like reason 5), I still hop back to recycle to slice up an audio file. It works fast, its rather cleaver detecting transients and recycle is a must have tool to use for slicing up beats / audio tracks. 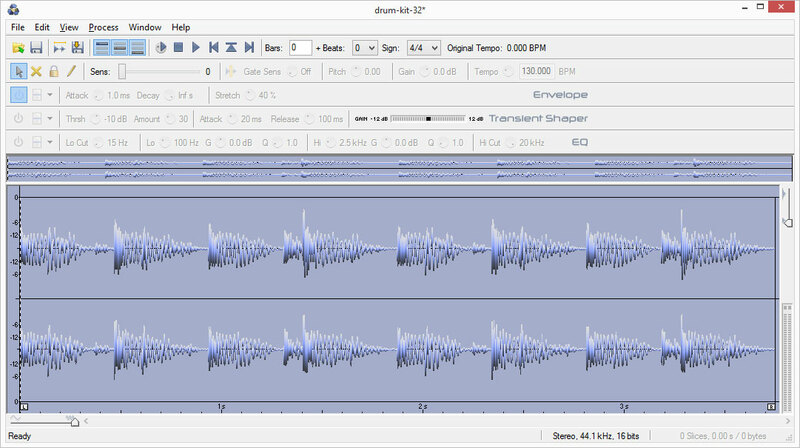 Audacity is a free to use audio tool to load up audio files and manipulate them. The reason why Audacity is still being used in my own techniques is because sometimes I need to slice up an audio file and kill the start of a sample. In this case I pin point exactly where the sound needs to start. Sure, there might be an argument that the sample editor of Reason does this too, however in most cases I still feel that audacity works better then the build in sample editor (its a preference thing, really). The only reason why I would still use the build in sample editor would be being lazy to start a new program. 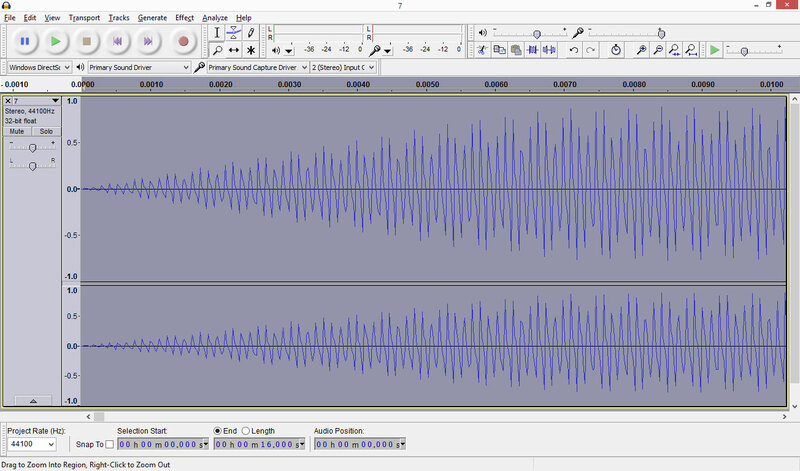 I still use audacity for recording my video tutorials, its being used for "live" recordings and podcasts. 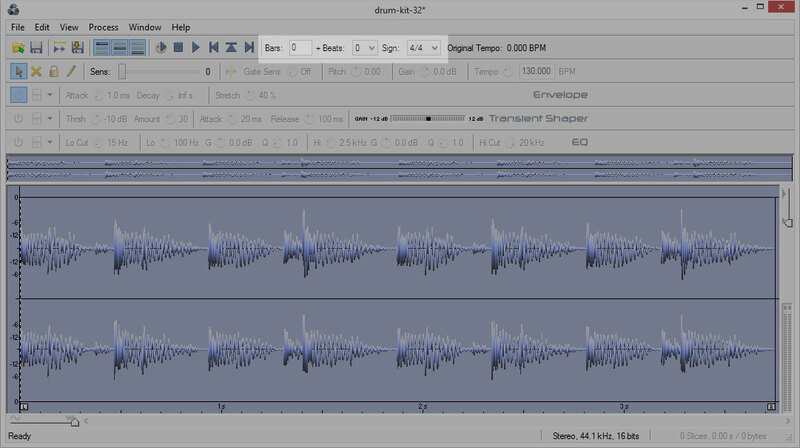 While Audacity can manipulate audio, it also has a lot of different filtering effects, deEssers, reduce noise settings and so on. You can be as creative with audacity as far as the program wants to take you. While normally I would still use a lot of effect processing inside Reason itself. But just saying that this little tool can do something similar too. 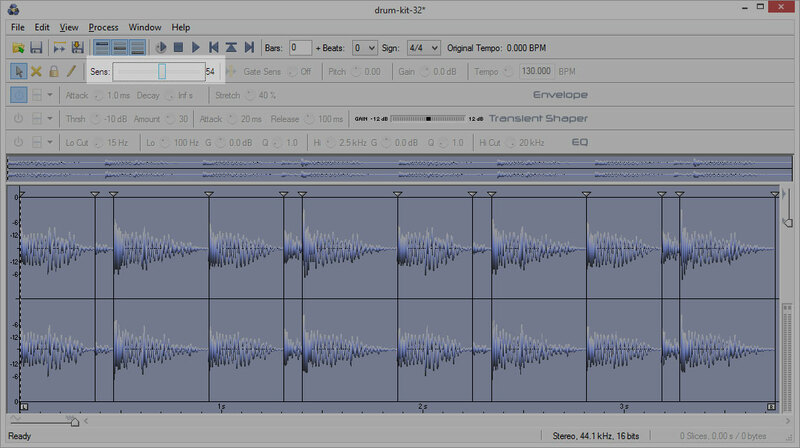 Audacity can be used to edit existing audio files. You can crop the audio where needed and re-use the sample in any Digital Audio Workstation. Another free program I love to use is CD-Ex. It is a free project hosted at soundforge, and is mostly meant for normalizing an audio track or converting an audio file to a different format. Since I personally prefer to use the native Wav format for Windows, I convert all my audio tracks to Wav before using it inside Reason itself. Sure, the later versions of Reason support loading up Mp3 files too. This is one of the main reasons why mostly CD-Ex gets used with older versions. And last, I use it to convert the final rendered song to an Mp3 file. Most of the above tools would be handy in the realm of Reason 5 and before this. - NN-XT the mother of all samplers. Hence, it is called the advanced sampler. In most cases the audio track device should be last resort. Eg: if you can not use other devices to use samples with, then use Audio Tracks. Reason for me saying this, is simple. Often when working with audio files, I find it way less time consuming to layer the snippets in for instance an NN-XT. for instance I have a multi layered organ track that records a single note. These notes can be layered inside an NN-XT. The device can be tweaked using sample start / end points (or the sample editor) to fine tune a loop point. And when that is all done, the sound can be saved as a patch and re-used in different songs. Audio tracks on the other hand are not that flexible. They often require a different tweaking stage depending on tempo (beats per minute), arrangement, timing and so on. Midi notes in this case are way more flexible. I might add that since Reason 7 the anchor points in a loop file did change all this ( I will get back to this later). But still audio files shouldn't be about positioning anchor points. If the audio take it to complex to process further, then I would advice to use a different take next to the one you are already using. While the process of chopping loops using Recycle is quite "linear", there are some things to consider when using this program. First of all, you load up the sound inside Recycle. Next you can tell recycle how sensitive the program needs to detect slice points. This is done with the "Sens" setting at the left top section. Since it totally depends on the type of audio file (if it is a drum loop, a break beat, a vocal track, an instrumental loop and so on) the sensitivity setting may vary per sample. While the Sens setting is a "quick" edit tool, you can always decide to change slice points manually (edit them, position them different, add new slice points or erase them). This is more micro management that could be done. When done editing the slice points you will need to count the length of the sample. This is measured by how many beats (1/4th note) the length of the sound is. This is later on being translated to the setting called "Bars" / Beats and Signature. By default 4 beats = 1 Bar. So 8 beats will be 2 Bars. If you have an odd sample that contains 10 beats, then you can set the value of Bars to 2 (=8 beats) and set the "Beats" to 2. Meaning it will calculate the length like ((Bars*4) + Beats). So in this case it will be (2*4 + 2). As a reference the Tempo will be calculated while altering Bars and Beats. So that could be a nice reference in figuring out if you have set them wrong or right. Eg, if the sample happens to be 128 Bpm, and you set the Bar to "1", and the Bpm will eventually display 256Bpm. Then you know the Bar is set too low. Thus it needs to increase to 2. The BPM is basically calculated by using the sample play length, and it uses this to calculate the BPM by looking at the Bars / Beats that have been entered. When everything is set proper, you can export the file as a Rex file. This option is located under the menu "File" > "Export". When the file is exported as a Rex file, you can load it directly inside a Dr Rex / Dr Octorex loop player inside Reason. This will allow playing back the complete sliced Rex file. At the same time you can re-edit the original slices using the Sequencer window by re-arranging the original notes in the sequencer window. When it comes to alternative, you can use Audacity to chop up a sound and throw them as individual samples inside an NN-XT. Sure, I might add that this method is way more time consuming then the Recycle Program. But just saying that you basically can (in case you don't own Recycle, nor have Reason 7 or later). The trick here is that you save multiple copies of the exact same file. For instance, if you have a drum loop which contains 4 different hit types, I would make 4 different duplicates of the exact same file. Basically what you would do with Audicity is trim the segments where these elements are shining the best. Later on, you can reprocess them inside an NN-XT and re-create the loop as it originally sounded like. I did a similar process on cutting down the sample "All your Base Are Belong to Us", while using Audacity. Just to show how time consuming this process can be (compared to chopping up a sound using Recycle). At the same time, similar techniques can be applied using the Redrum Drum computer, Kong and so on. With reason 5 there was the build in Sample Editor. And to fairly honest, this will cut down the chopping times when comparing this with the Audacity work flow. 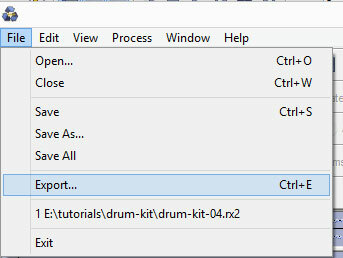 The sample editor can be used to chop up loops. You create copies of the exact same loop, yet at the same time you start editing different start points and end points using the sample editor. Every sample gets their unique start / end point. And all the samples can then be played back in different context. In the next video I am explaining the complete process using a Kong Drum designer. However, the same technique is applicable using the Redrum, the NN-19 sampler or the NN-XT advanced sampler in Reason.